A fortnight ago Bobbi Sykes died. When I read the news, I was stilled by sorrow for and about someone I have never met. I am not a practiced obituary writer, nor am I an ‘expert’ on Aboriginal poetry. I write this post because the girl of 18 who first read Sykes’ poems, as an introduction to the world of poetry, still lives inside me and is so thankful. And we know that count is nowhere near final, not at the time Sykes wrote the poem and not today. And in the shadow of the horrific/racist/discriminatory Northern Territory Intervention, the failure to appropriately deal with the consequences of invasion seem to me more manifest than ever. It was in Kevin Gilbert’s edited collection of Aboriginal poetry, Inside Black Australia, where I first read Sykes’ work. I was stunned by the beauty of the poetry and haunted by the biographies of the poets. Gilbert’s book is a deliberately political work as well as a work of creative output, and in my mind neither of those achievements is primary. It was an occasion when my affection for poetry was to meld with my own political views. We make no apologies for being overtly political; we see more clearly than anyone else in this country what is wrong with this country. Much of the historical subject of this poetry has been carved indelibly in blood over the past 200 years and before the poets were born. That the psyches still quiver with the shock of these horrendous times can be directly attributed to the continuing brutality, the national lies, the callous indifference to Black human life and the continuing practices of institutionalised racism today. How can poetry and literature not be political, or be outside politics? There is no outside. 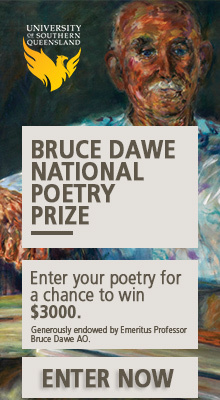 So how, I thought, can poetry produced by Aboriginal people be written outside their history? Not every poem in Gilbert’s anthology is ‘overtly political’ (in the manner in which that is understood in contemporary Australia), but very many are. In terms of reading these works, Judith Wright said that we must ‘address carefully the function and meaning of the words and criteria we lay down, before applying our standards like Mother Hubbard garments to the raw pain and misery of the voices’ii that present themselves in much Aboriginal writing. She wrote that, and took up these issues in a wonderful Australian journal called Overland. Who, through ‘benign neglect’, deemed she would never grow old. Which sweeps away its tiny breath and delivers to the Lord. When thinking about the date Rachel ‘departed’, 15 February 1974, even I see this date as ‘the past’ or ‘history … it being ‘such a long time ago’. And as I sat yesterday listening to a conference presentation on the Alyawarr people’s walk-off, when in 2009 the Ampilatwatja community walked-off their land in protest of the Intervention – their land – I am struck by how little has changed. As a reader, poems like ‘Rachel’ seemed directed clearly and squarely at white readers in anger, they contained a plea. However, I imagine at 18 I thought all poetry and literature was written for me. So ‘One Day’ was a little lesson about me the reader. For that 18-year-old, reading the anthology and in particular Sykes’ work, it was the start point of a very specific political education and a real love of poetry in general. And thank you so very much. Vale Bobbi Sykes. i ‘Final Count’ by Bobbi Sykes in Kevin Gilbert (ed) (1988), Inside Black Australia, Penguin: Ringwood, p. 37.
iii ‘Rachel’ by Bobbi Sykes in Kevin Gilbert (ed) (1988), Inside Black Australia, Penguin: Ringwood, p. 36.
iv ‘One Day’ by Bobbi Sykes in Kevin Gilbert (ed) (1988), Inside Black Australia, Penguin: Ringwood, p. 35.
v Sykes quoted in Kevin Gilbert (ed) (1988), Inside Black Australia, Penguin: Ringwood, p. 31. Moving, strident, enlightening – fitting, to honour the woman herself. Thank you Elizabeth, for this. A moving and spirited tribute to Roberta Sykes and her genius. Sykes embedded her work with critique, polemic, curriculum and song. The poems anthologized in Inside Black Australia, along with the Snake Trilogy of memoir, were written into me when I also encountered them in undergraduate studies. They began my insight into white privilege. Thank you, Elizabeth, for speaking many hearts. Thanks Clare and Kate – she was such an impressive poet and woman. So many achievements. 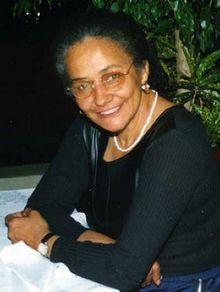 She was also the first indigenous Australian to graduate from Harvard, and in fact any US University. When I always I see dates from the past I remember back-what was I doing where was I then—becos even with radical political involvement 69-74 in Adelaide I dont recall her. My memory isnt good. While I was in this or that town on these dates I remember- and the kids were age x and age y she was at Redfern doing such and such–So when I found a poetry book of hers at a local library book sale a coupla years ago there was a glimmer of recognition. I connected with the gutsy raw visceral punch words as I have always been connected with the indig-dispossession issues.I mayve walked past her at Indig Festivals amongst the many well known outspoken women gathered there.There’s a lotta great writing-biogs and poetry -book launches—and getting recognition as a component of writers fests –but back then she wouldve been one of few women- the only other I knew of was Noonuccal cos she/her poetry/ was accepted in schools. What a fantastic tribute to a wonderful poet – well done and thank you.